Exhaust question: What is "blowdown length"? Would you do this on your intake side? Budget 350 Chevy build ? 350 sbc de-stroked with 262 crank? Anyone ever flow bench verified the benefit of notched bore? 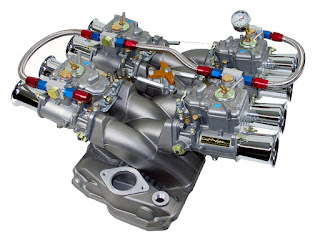 Which EFI and coil-on-plug ignition with crank trigger? Single plane on this motor? New heads new valve job? Solid Cam With "Forgiving" Lash Ramp Design? How to test oil properly. how will installation centreline effect my cam? Advantages of beryllium copper valve spring seats? Intake Port Extreme Narrowing Before Bowl ? engine kicking back on starter ? Air fuel ratio,what is proper? Reason for using a "slow" ramped intake lobe? Piston, bore scratches - What happened here? Step okay from exhaust port to header tube? Is my intake too big for my combo? Rocker Arm Geometry-How to Modify? Any news on the Melling Helical Asymmetrical oil pump? Criteria for going to bigger intake valve? Muriatic acid for cleaning water jackets? Can I get to 10.0 with new combo? Mid 10's street car NA? Looked for posts with >2,000 views - 3,000 to 4,000 would have probably been better.